Last year before the election we reported on a company named Copart that owed Georgia millions in back taxes. The reason this was especially newsworthy was due to the close business ties Copart Inc. had with Governor Nathan Deal. In 2013 Nathan Deal set up a blind trust to sell his business then known as Gainesville Salvage Disposal to Copart which is a Texas based company that owed Georgia $74M in back taxes and penalties. Fast forward to 2015 and guess who still owes that $74 million in taxes? It’s good to be governor it seems or to at least bail out his failing business after it loses the sweetheart monopoly arrangement that allowed it to be profitable. Deal was charging inspection fees at a far higher rate than anyone else in the state. Once scrutiny and some spotlight was focused on his contract with the state and competitors were allowed in, Deal suddenly became anxious to sell the business because he knew he couldn’t compete with legitimate companies on a level playing field. Many of you will recall this was also the reason he quit Congress literally minutes before a deadline that would have required the ethics committee to take action on some very serious findings involving this very same family salvage business. After he quit Congress there was nothing the Ethics Committee could do to sanction Nathan Deal further but they went ahead with their investigation and published their 160 page report which blasted him for numerous egregious violations. Had he stayed he would have likely been removed from Congress and possibly suffered far more severe consequences. But instead Georgia elected him Governor where he could control those pesky ethics committees from then on. Funny how Copart found all that money to donate to Deal’s re-election but can’t find any to pay the taxes they owe. It’s also strange how Deal and his partner Ken Cronan’s $20,000 combined monthly checks from Copart keep rolling in. I wonder how fast Copart would get a tax bill for $74 million if they missed a monthly payment to Governor Deal. According to the latest Securities and Exchange Commission filings on May 28, 2015, Copart, Inc., the company that bought Gov. Deal’s failing junk yard for $6.4 million, still owes Georgia more than $74 million dollars in back taxes and have owed this money for eight years. Copart, which rents property from Gov. Deal and his business partner for $20,000 per month, has owed the taxes since 2007. That is a nice monthly residual income the Guv has coming in every month. Both Riley and O’Neal previously served as the governor’s floor leaders before their recent appointments by Deal. The Georgia Department of Revenue has records related to the millions of dollars Copart, Inc. owes to the state, but they’ve set a price of $4 million dollars for access to those documents. Don’t expect Copart to cough any money for those taxes anytime soon however. But if you are a Georgia resident that owes even $100 dollars in back taxes you can count on receiving threatening demand letters and likely with a big penalty as well. Don’t you just love these double standards? 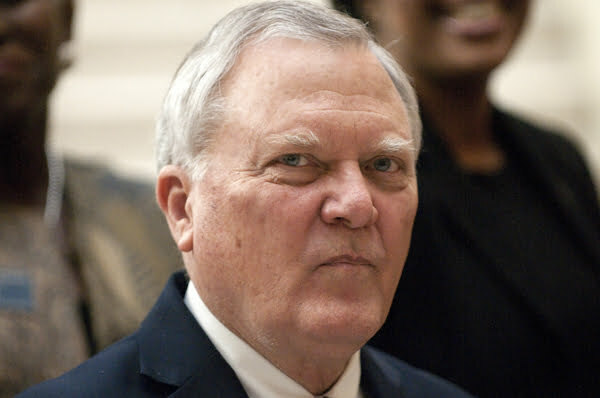 But then again Congressman and now Governor Deal has always been more of as “Do as I say not as I do” type of guy. If you are surprised you really haven’t been paying much attention. Are Georgian’s Getting a Raw Deal From our Governor? Where the hell is the FBI? I knew some of this and had heard rumors of bits and pieces but decided to read all your links. I’m glad I did. You went into far more detail and documented everything with links. That was a real eye-opener. It amazes me that this guy has been able to get away with so much for so long. I get why his puppet Sam Olens won’t do squat since he is spineless and wants to be governor, but what I don’t understand is why won’t the FBI indict this old turd? FBI Georgia needs you now! CREW is investigating Deal, and has rated him as one of the most corrupt governors in the U.S. because he panders to his cronies, giving them positions in our state government and cutting deals with them that puts money in his pocket I have also read that the FBI is investigating him. When he was in Congress and discovered his company was in danger of losing its monopoly salvage contract with the state, he sent a member of his staff to put pressure on state legislators and ended up “winning” the contract for the next year. Of course when he was asked about doing this, he lied. Deal is a corrupt, lying, scheming, lawbreaking crook. Sometimes it takes the FBI years to put a case together, and I’m hoping this is the cause of the delay in filing charges against him. Remember, he high-tailed it out of Congress because ethics charges were pending against him, came to GA, was elected governor, and has continued the same unethical behavior he exhibited while he was in Congress. I knew when Deal promised to go after Copart when he was running for reelection that he was lying. The only reason he addressed the issue was because the Atlanta Journal Constitution was reporting about it. I also recall reading in the AJC that Deal had been asked in 2013 what he was going to do about Copart owing so much in back taxes, and he didn’t seem the least bit concerned. Iirc, he passed the buck by saying that he was going to let the GA Dept. of Revenue “handle” the issue. Anyone who has paid attention to Deal since he was in Congress already knows that although he talks a good game in public, he’s a coward when it comes to standing up for anything that is important to us or that is in the best interest of the state. He’ll grandstand 24/7/365, but don’t ask him to look out for our best interests as taxpayers, especially if it calls for him finding an ounce of courage. I can imagine that he’s on good speaking terms with Copart executives, and that it probably has something to do with his failure to demand that they pay their back taxes. I’m also wondering what happened to the panel he claimed he was going to “form” last year to look into this matter. I think he’s just biding his time and hoping that he leaves office before he will have to take action to make the company pay the $74 million in taxes it owes.